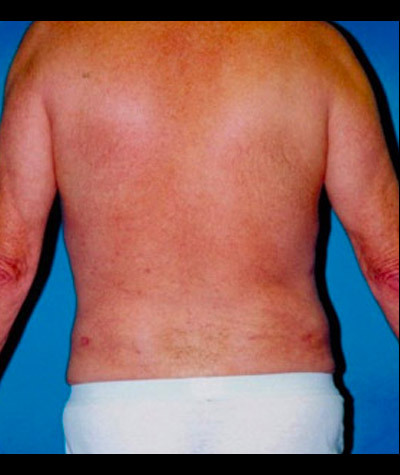 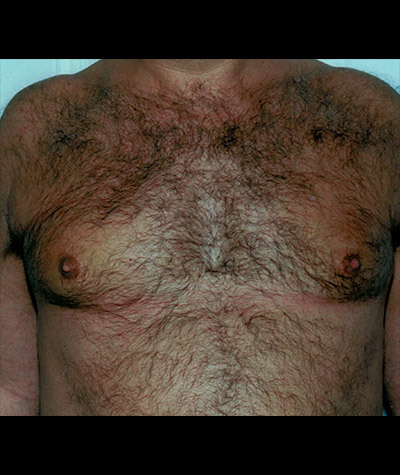 This 43 year old man was unhappy with his enlarged chest. 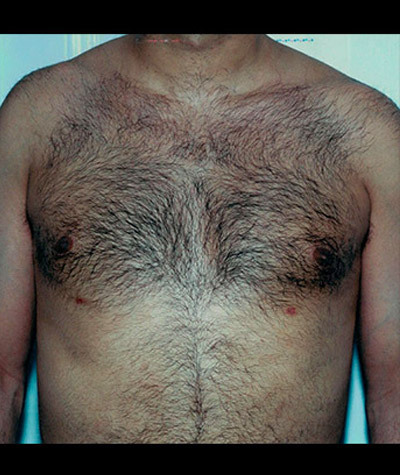 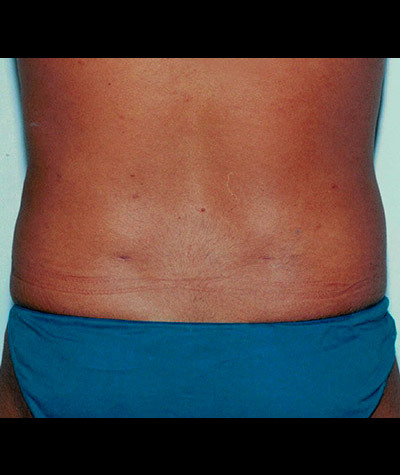 He is shown before and 3 months after liposuction of his chest. 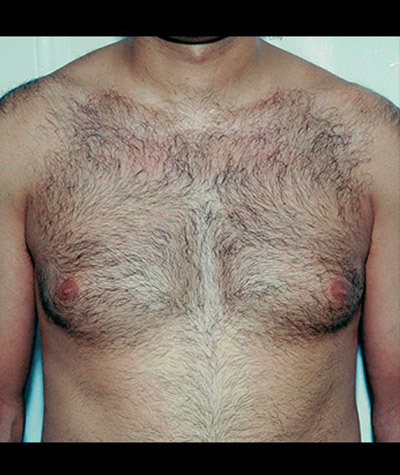 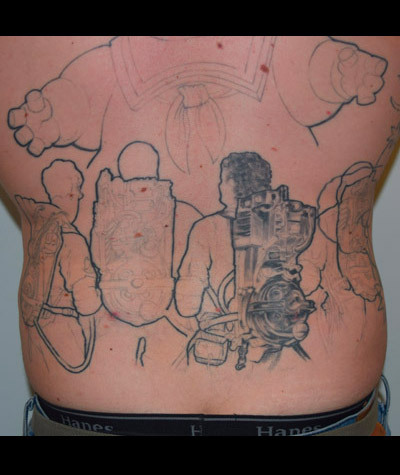 The procedure took less than 1 hour and requires minimal downtime.